The event is a part of the Reunion Weekend Celebration July 21-22. Please visit the Minnesota Twins website for information or to purchase tickets. Bert Blyleven is a retired MLB pitcher who played for the Minnesota Twins from 1970–1976, the Texas Rangers from 1976–1977, the Pittsburgh Pirates from 1978–1980, the Cleveland Indians from 1981–1985, the Minnesota Twins again from 1985–1988, the California Angels from 1989–1990 and again in 1992. Blyleven is a two-time World Series champion for 1979 and 1987 plus he is a two-time All-Star for 1973 and 1985. On September 22, 1977 Bert Blyleven pitched a no-hitter plus he was the American League strikeout leader for 1985. The Minnesota Twins retired his number 28 in 2011. 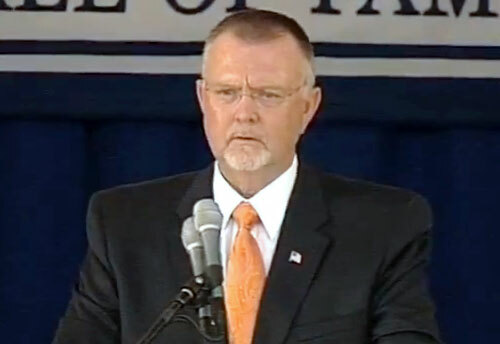 Bert Blyleven was inducted into the Minnesota Twins Hall of Fame in 2002 and the Baseball Hall of Fame in 2011. Sports Speakers 360 is a booking agent for pro athletes. If you would like to book Bert Blyleven for a speaking engagement, appearance or endorsement, contact a Bert Blyleven booking agent for fees at 1.855.303.5450.